The world of advertising is increasing in leaps and bounds, and one doesn’t know where it will end. Several companies like Google have pushed Advertising to a whole new level. Companies can now have their ads in games, on YouTube or while browsing a website. These sort of tie-ups have made Google the number one company when it comes to advertising. But it still doesn’t end here. With companies like Adobe having raked in a whopping 2 billion dollars in advertising revenue, they could’ve been satisfied. 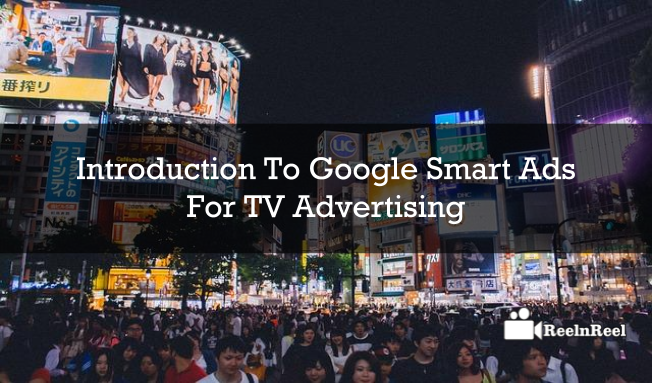 But Google has now gone ahead and ventured into SMART ADS that is going to bring a new shape to the way an AD looks. Fibre TV ads will be digitally delivered in real time and can be matched based on geography, the type of program shown (sports, news, etc. ), or viewing history. Like digital ads, advertisers will only pay for ads that have been shown and can limit the number of times an ad is displayed on a given TV. ‘We’re excited to see how this test progresses, and we’re looking forward to hearing from local businesses and viewers along the way.’ Said a Google correspondent. Viewers can opt out of being shown ads based on their viewing history, the company said. It said the idea came from existing cable ads. ‘Cable TV providers offer some TV ad delivery as part of their local services. ‘This is what allows you to see ads for nearby businesses – like the car dealership downtown or the neighbourhood flower shop. Rather than everyone getting the same ad, each user is getting served an ad that is more likely to resonate with them based on what you know about them. Are you convinced yet? If you’re ready to get smart, you are probably wondering what your options are – which advertising partners offer this technology?